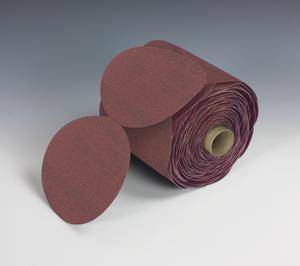 3M™ Stikit™ Film Disc Roll 375L discs feature a premium aluminum oxide, load resistant, pressure sensitive abrasive product constructed on a durable film backing. This range of versatile discs are designed and configured to achieve a uniform, fine finish on metal, wood, composites or paint. 3Mâ„¢ Stikitâ„¢ Film Disc Roll 375L discs feature a premium aluminum oxide, load resistant, pressure sensitive abrasive product constructed on a durable film backing. This range of versatile discs are designed and configured to achieve a uniform, fine finish on metal, wood, composites or paint. 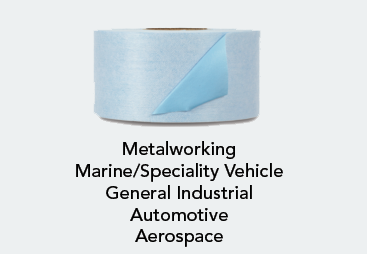 Html Content Maximum Versatility 3M&trade; Stikit&trade; Film Disc Roll 375L discs are available in a wide latitude of coarse, medium and fine grades effective for finishing, defect repair and leveling, orbital sanding, AOEM finish prep/repair and paint/lacquer sanding. This premium aluminum oxide mineral makes a tough, durable abrasive that self-fractures to expose fresh cutting edges, extending the performance life of the disc. Due to its fast cut-rate, hardness, and strength, it is widely used in grinding applications in addition to sanding and finishing applications. Aluminum oxide is suitable for a wide variety of materials in both woodworking and metalworking, including ferrous alloys. An open coat construction means the abrasive grains are loosely distributed so that sanding debris collects in the spaces rather than loading the cutting edge of the grains. This feature has the added advantage of producing a more aggressive cut. Durability A sturdy film backing provides the durability needed in high-production environments, and offers excellent resistance to edge tearing. 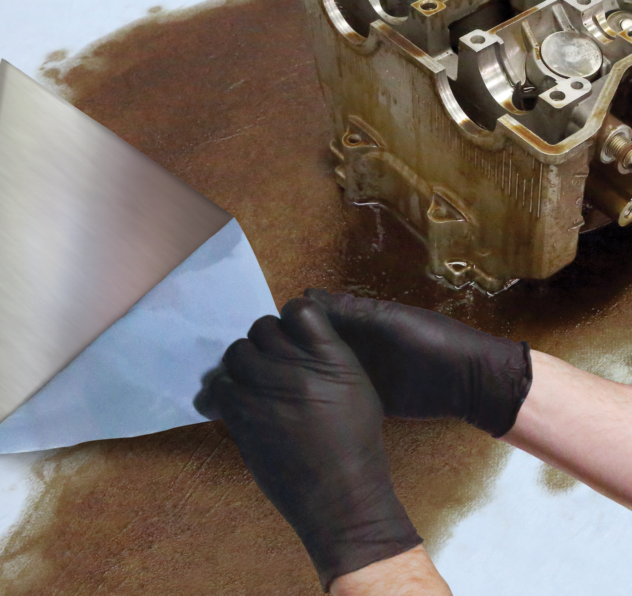 It delivers consistent, uniform finish on virtually any substrate. The 375L discs are effective on primers, gel coats and fiberglass, softwoods, metal, plastic, carbon steel, solid surface, hardwoods and topcoats. Easy To Use Convenient Stikit&trade; discs are ideal for high volume, quick change operations. Easy to attach and easy to remove, they leave a clean surface for the next disc. 3M&trade; Stikit&trade; Film Disc Roll 375L comes ready to use with a pressure sensitive adhesive coating on the back that mounts on a 3M&trade; Stikit&trade; Disc Pad (sold separately) on a random orbital sander. Pressure sensitive adhesive (PSA) discs offer a high-strength adhesive attachment system, making them a good choice for high heat and severe disc sanding applications. Marketplace Extended Descriptions Manufacturer S Voice Non Html 1 Maximum Versatility 3M&trade; Stikit&trade; Film Disc Roll 375L discs are available in a wide latitude of coarse, medium and fine grades effective for finishing, defect repair and leveling, orbital sanding, AOEM finish prep/repair and paint/lacquer sanding This premium aluminum oxide mineral makes a tough, durable abrasive that self-fractures to expose fresh cutting edges, extending the performance life of the disc. Due to its fast cut-rate, hardness, and strength, it is widely used in grinding applications in addition to sanding and finishing applications. Aluminum oxide is suitable for a wide variety of materials in both woodworking and metalworking, including ferrous alloys. An open coat construction means the abrasive grains are loosely distributed so that sanding debris collects in the spaces rather than loading the cutting edge of the grains. This feature has the added advantage of producing a more aggressive cut. Durability A sturdy film backing provides the durability needed in high-production environments, and offers excellent resistance to edge tearing. It delivers consistent, uniform finish on virtually any substrate. The 375L discs are effective on primers, gel coats and fiberglass, softwoods, metal, plastic, carbon steel, solid surface, hardwoods and topcoats. Easy To Use Convenient Stikit&trade; discs are ideal for high volume, quick change operations. Easy to attach and easy to remove, they leave a clean surface for the next disc. 3M&trade; Stikit&trade; Film Disc Roll 375L comes ready to use with a pressure sensitive adhesive coating on the back that mounts on a 3M&trade; Stikit&trade; Disc Pad (sold separately) on a random orbital sander. Pressure sensitive adhesive (PSA) discs offer a high-strength adhesive attachment system, making them a good choice for high heat and severe disc sanding applications. Marketplace Extended Descriptions Manufacturer S Voice Non Html 2 Maximum Versatility 3M&trade; Stikit&trade; Film Disc Roll 375L discs are available in a wide latitude of coarse, medium and fine grades effective for finishing, defect repair and leveling, orbital sanding, AOEM finish prep/repair and paint/lacquer sanding This premium aluminum oxide mineral makes a tough, durable abrasive that self-fractures to expose fresh cutting edges, extending the performance life of the disc. Due to its fast cut-rate, hardness, and strength, it is widely used in grinding applications in addition to sanding and finishing applications. Aluminum oxide is suitable for a wide variety of materials in both woodworking and metalworking, including ferrous alloys. An open coat construction means the abrasive grains are loosely distributed so that sanding debris collects in the spaces rather than loading the cutting edge of the grains. This feature has the added advantage of producing a more aggressive cut. Durability A sturdy film backing provides the durability needed in high-production environments, and offers excellent resistance to edge tearing. It delivers consistent, uniform finish on virtually any substrate. The 375L discs are effective on primers, gel coats and fiberglass, softwoods, metal, plastic, carbon steel, solid surface, hardwoods and topcoats. Easy To Use Convenient Stikit&trade; discs are ideal for high volume, quick change operations. Easy to attach and easy to remove, they leave a clean surface for the next disc. 3M&trade; Stikit&trade; Film Disc Roll 375L comes ready to use with a pressure sensitive adhesive coating on the back that mounts on a 3M&trade; Stikit&trade; Disc Pad (sold separately) on a random orbital sander. Pressure sensitive adhesive (PSA) discs offer a high-strength adhesive attachment system, making them a good choice for high heat and severe disc sanding applications.